Mereth Aderthad is dedicated to societies which are giving tribute to J.R.R. Tolkien’s works. 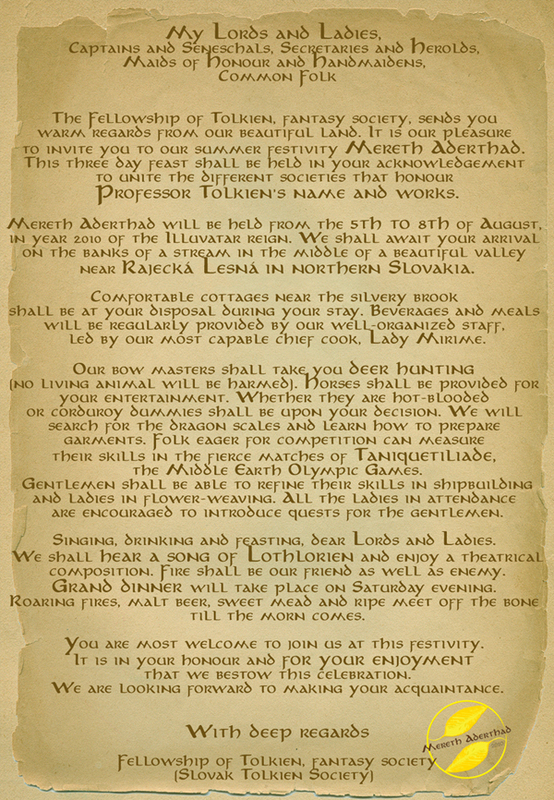 It is a three day festivity with a grand banquet where all such associations are most welcomed. We will join together in singing, feasting and merrymaking. Our idea is to invite European Tolkien societies to meet people with similar interests, enjoy their company and share good time together. For our guests we will prepare delicious food, interesting games, fire show, theatre and sports.